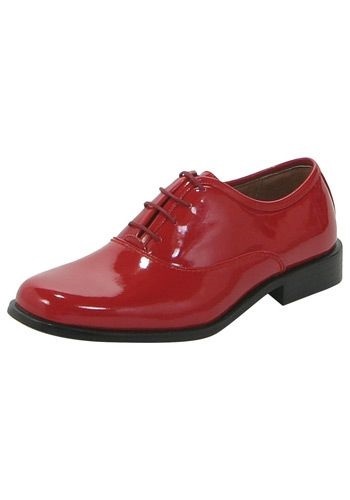 These red tuxedo shoes are available for rental or for purchase, and include a pair of red laces. The exterior is made of durable red polyurethane and the sole is made of black rubber. The lining is made of genuine leather for extra comfort. 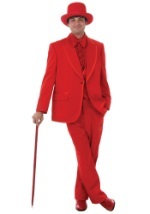 A great addition to our red prom tuxedos.